THQ's top executive questions wants to offer lower priced games with customizable DLC. The standard price for PS3 or Xbox 360 games is $60 whether the experience lasts 5 hours or 50. That high price is what pushes consumers to purchase used games or even piracy, neither of which are good for the videogame industry as a whole. The CEO of publisher THQ, Brian Farrell, said that he is experimenting with breaking from the $60 standard for AAA games by offering the racing game MX vs. ATV Alive for $40, and then supporting it with an aggressive DLC schedule. Farrell has seen the success of the free-to-play business model in casual games like FarmVille and MMOs like LOTRO and thinks he can adapt that concept to the console market. "With MX vs. ATV Alive, we are experimenting with delivering a customizable experience for the player in a brand new pricing model," Farrell said. "It's an innovative concept based on what we've seen in the free-to-play markets. We're delivering a premium game experience at an SRP of $39.99 in order to drive the installed base of users, and then digitally delivering over 100 pieces of downloadable content and an in-game store for micro-transactions, allowing the gamer to customize their experience and pay for the modes that they want to play." Farrell made it clear that the $40 game isn't gimped at all, but the player can invest more in the kind of game he wants to play. "Fans will soon see that the lower price does not mean a lesser product. 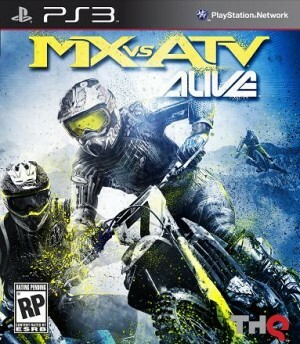 MX vs. ATV: Alive has an extensive selection of tracks, vehicles, game modes, gear and much more to keep gamers engaged," he said. "For example, the Motoclub shop in MX vs. ATV: Alive - the in-game store will allow players to purchase content from inside the game rather than having to purchase it through the Xbox LIVE marketplace. I think it is a great example of how a triple A console game can participate in the micro-transaction model." The idea of only paying for the modes that you want has some merit. If you're like me, and you couldn't care a whit about playing online, it's sometimes frustrating when the single-player experience seems short-changed. I won't buy shooters now unless I know the campaign is worth my time, but if I could purchase just that portion without handing over the full 60 bucks, I might think again. The converse is also true, people who only play against other people online might be more likely to try a new title if they could drop less money on just that part of the game. I could then see those people being more inclined to buy map packs, or other multiplayer modes. What do you guys think? Are microtransactions like what Farrell is proposing for MX vs. ATV: Alive the future of console games?